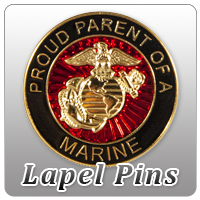 Marine Corps themed items for golfers, sports enthusiasts, hunters, and outdoor enthusiasts. This KA-BAR is modestly sized to fit perfectly in your pocket. It makes a great gift for bootcamp graduation! Blade length 3-1/16"; Open length 7-1/2"; Closed length 4-1/2". Limited lifetime warranty provide by KA-BAR. Warranty and registration information included in box. Our son was so proud to be given this knife! It is beautiful! We were impressed with the quality! This knife makes a great graduation gift! It's small and compact and proudly displays the EGA! Our Marine loved receiving it! Great gift for Marine graduation! Small and compact for them to take anywhere!